Happy new year! Let us all hope that 2016 brings us all closer to good health and happiness. To that end, we are delighted to announce that the Spring semester at the DSBM begins in March, with Inside Ayurveda starting on March 23rd, and Food As Medicine on March 24th. Please scroll down for more details. You can review all the comments and feedback we received during the Ayurveda Summit, and if you’re interested, you can order the entire series of lectures, which includes many notable speakers. With so many choices to study Ayurveda, it is clear that the Inside Ayurveda program has become an industry leader, providing excellent detail and support, all at an affordable price! This program consists of a 612 page manual with extensive appendices, indexes and a glossary; on-demand video and audio classes; a recorded weekly Q&A webinar; assessment tools; and membership in our online forum for two years! 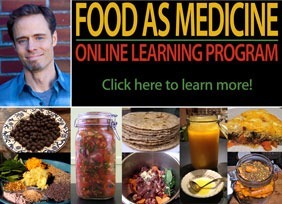 The Food As Medicine: Online Learning Program is based upon the book, Food As Medicine: The Theory and Practice of Food, but extends the concepts and practices further, to provide for a highly detailed and comprehensive approach to the subject of nutrition. Like Inside Ayurveda, registration in the Food As Medicine Online Learning Program provides you with access to video and audio classes; a recorded weekly Q&A webinar; assessment materials; and membership in our online forum over a two period. 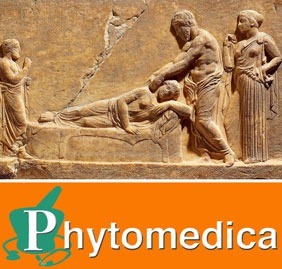 To learn more, please check out our Food As Medicine video! Do you want to experience Ayurveda in its authentic cultural context? For over a decade now we have maintained close ties with the Bajracharya lineage of Ayurveda, an 800 year old hereditary tradition in Kathmandu, Nepal. Scheduled for early 2017, we will be taking a group of students to Nepal to experience this traditon for themselves, to gain valuable, practical insight into the true workings of Ayurveda. The Ayurveda In Nepal program will be structured in two parts: the first two weeks as an introductory program that is open to everyone; and a five week clinical program that is reserved for students that are enrolled or have completed the Inside Ayurveda program, or have otherwise met our inclusion criteria. We are now finalizing the details for this program, and will post all the information on our website very soon. Stay tuned! 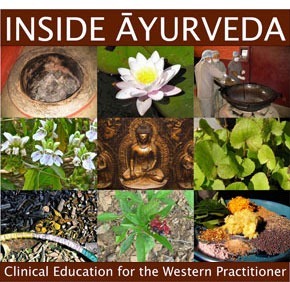 Some of you enrolled in the Inside Ayurveda program are nearing the end of your two year membership. If you wish to continue to access the content and participate in our Q&A and discussion group, you can purchase a one year extension by following this link directly. Don’t forget our affiliate program! If you register as an affiliate with the DSBM, you will receive a percentage of sales for any students you direct to us for registration. Support our work, and make money at the same time! To learn more, please register on our Affiliate page. Canadian Students: loonie value got you down? When we first launched our programs in 2012, the Canadian and US dollar were at par, and we priced our courses in USD. We are aware how currency fluctuations are creating some hardship for potential Canadian students, and so have created a temporary pricing structure to accommodate this. If you are living in Canada, and wish to register for our programs, please send us an email for more details.